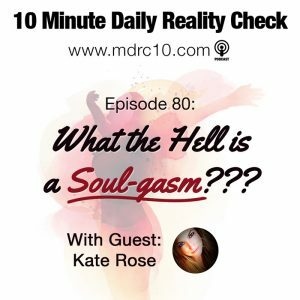 Episode 80: What the Hell is a Soul-gasm? Orgasms are so overrated. That’s right. I said it. Probably the best thing you think you’ve ever experienced… is bush league compared to what I’m talking about: the SOUL-GASM. 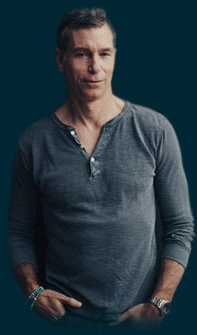 The mind-to-mind, soul-to-soul connection you feel with a man or woman. Huh? What the hell is a soul-gasm, you ask? Great question. 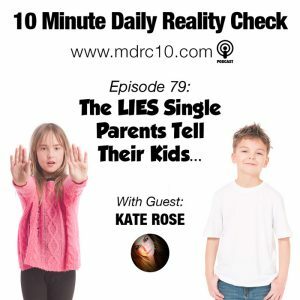 Well, that’s today’s reality check, where we’re back in the studio with Kate Rose. 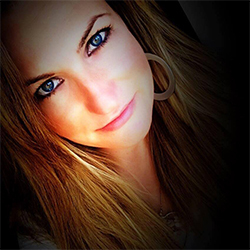 So join us & download, rate and subscribe to this podcast in your podcatcher of choice, share this episode with the world, and be sure to check out Kate Rose’s truly beautiful prose at http://www.wordsofkaterose.com/. 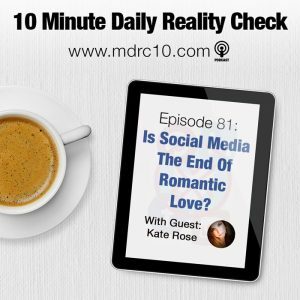 Episode 81: Is Social Media The End Of Romantic Love?